As most of you know, we welcomed a new little boy into the world last December. I know how important it is to vaccinate on time, even more so because we live in a town with very low immunization rates. That means we’re low on herd immunity to protect our most vulnerable citizens, including newborn babies. So to me, it was a relief when BabyM’s 2-month appointment rolled around and he could get his first round of shots. But. But… I hate to see my little boy cry in surprise when he gets shots. That’s always hard. And I hate to see him be uncomfortable for the day or so after the shots. So, as we approached his first shots, and the ones that followed, I wanted to do everything I could to reduce his discomfort. It’s thanks to science that we have these awesome vaccines, and it turns out that science can help us minimize discomfort from them, too. 1. Use evidence-based comfort measures to decrease pain during shots. 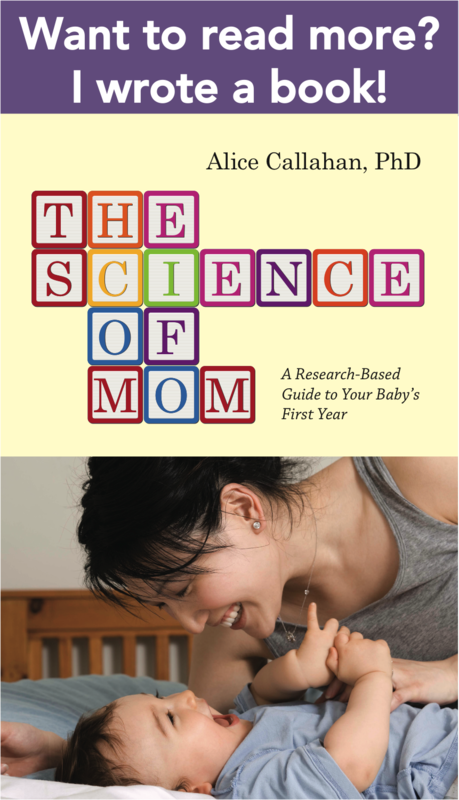 In the world of science, we know that one study is rarely enough to tell us the whole story, so researchers began studying this question in real women and babies to learn more. I’ve seen at least three so far – conducted in Pakistan, India, and South Africa – and none have found that delaying breastfeeding improved the efficacy of the vaccine. (4–6) In fact, in the Pakistan study, babies that were breastfed immediately after the rotavirus vaccine had a better immune response than those who weren’t. So, say yes to the rotavirus vaccine, and if it’s working for you, to breastfeeding. – Sweet-tasting solutions – Babies that taste something sweet during their shots show less pain, and that’s been shown in many studies summarized in the recent meta-analysis. (1) If you’re not breastfeeding or don’t want to during shots, this is a great alternative. Your pediatrician may have some sucrose solution on hand, or you can make your own at home by mixing 1 teaspoon of table sugar with 2 teaspoons of clean water. Give to your baby on a pacifier or through a dropper. (1) Conveniently, the oral rotavirus vaccine also contains sucrose, and one recent study found that it was just as effective as a plain sucrose solution at reducing pain. (7) Thus, it might be helpful to give the rotavirus vaccine before the injectable vaccines, as it has a built-in pain reducer! 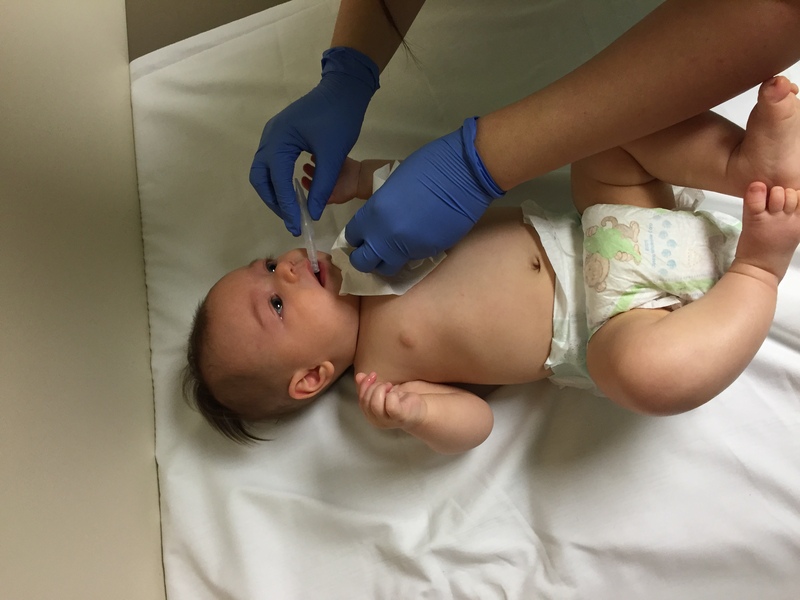 BabyM receiving his second dose of the rotavirus vaccine at 4 months. 2. 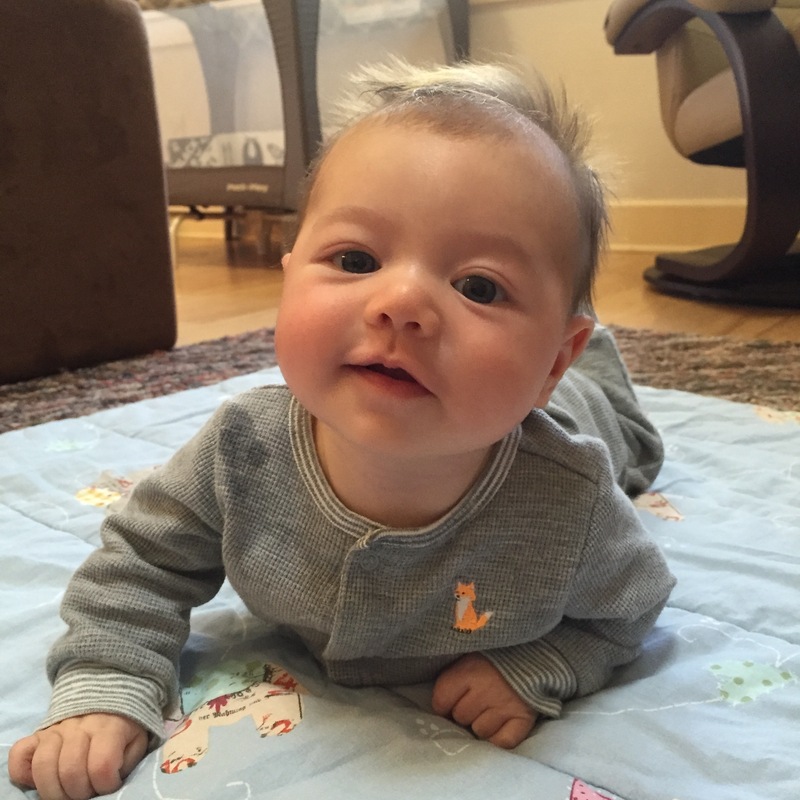 After shots, be prepared to have a do-nothing day in case your baby isn’t feeling well. 3. Don’t be surprised if your baby sleeps more than usual after receiving vaccinations. A 2011 study found that 2-month-old babies slept an average of 69 minutes more in the 24 hours after shots compared with the 24 hours before. (11) Although the majority of babies slept more after shots, 37% of babies slept less, so don’t count on this! Babies were more likely to sleep more if they had a fever or were immunized later in the day, whereas those immunized in the morning actually slept less. Studies in adults have actually found that sleep deprivation after vaccination can reduce the immune response,(12,13) so it’s possible that longer sleep in infants might mean a better immune response – but this has yet to be tested (and quite frankly, it’s probably a stretch). But given all of this, it might be worth trying to schedule your baby’s shots for the afternoon, so that you’re less likely to have a long and fussy day and more likely to set your baby up for restorative sleep after shots. I don’t need a good excuse for extra baby snuggles! 4. There’s no need to medicate your baby before shots, but have acetaminophen on hand if needed for after shots. Until a few years ago, doctors often recommended that parents give their babies acetaminophen (or paracetamol in some parts of the world) before receiving vaccines to reduce post-vaccination fever and other sources of discomfort. However, a randomized controlled trial conducted in the Czech Republic and published in the Lancet in 2009 called this practice into question. (14) In this study, 2-month-old babies were randomized to receive no acetaminophen or three doses of the medicine, the first dose just after receiving their scheduled vaccinations and the two following doses at 6-8 hour intervals. The same protocol was repeated when vaccines were received at 12-15 months. This study found that the babies that received prophylactic acetaminophen did indeed have a lower chance of experiencing fever, but they also had lower antibody concentrations in response to the vaccines. Most still reached the necessary thresholds for immunity, but the take-home message from this study is that treating preemptively before your child receives shots could reduce the efficacy of those vaccines. Since that 2009 study, more have been conducted, and these were summarized in a meta-analysis published in 2014. (16) The meta-analysis included 13 randomized controlled trials looking at how antipyretic (fever reducing) medications can affect vaccine side effects and/or antibody responses. Again, this analysis found that prophylactic acetaminophen reduced a range of minor side effects, including fever, local redness and swelling, and fussiness. And again, it also found that prophylactic acetaminophen reduced the antibody response after both the first dose and booster shots. The good news was that the antibody responses were still well above the level required for protection against disease, with or without acetaminophen. In other words, although antibody levels were lower from a statistical perspective, this may not make any perceptible clinical – or real world – difference in the efficacy of the vaccines. Also included in that meta-analysis were two follow-up studies of the 2009 Czech study. (17,18) These studies measured colonization of the nasopharynx (the part of the throat that connects to the back of the nose) with the bacteria that cause pneumococcal disease and Haemophilus influenzae type b (Hib). Nasopharyngeal carriage of these bacteria is typically reduced by vaccination, which is one of the ways that immunization confers herd immunity, in addition to protecting vaccinated individuals. These follow-up studies looked at the same kids as the 2009 study but at 2 years and 3-4 years of age, and they found that whether or not acetaminophen was given at the time of vaccines in infancy did not significantly affect carriage rates. So, what’s the take away from all of these studies, and what are we parents supposed to do? Although it doesn’t seem like acetaminophen will necessarily reduce the efficacy of vaccines, most pediatricians now recommend NOT giving it before shots. Wait and see if your child is actually experiencing significant discomfort after shots and try other comfort measures first (breastfeeding, holding, skin-to-skin, cool compresses). If those don’t work, then don’t be afraid to use acetaminophen to help your baby feel better. It’s always worth checking with your pediatrician or nurse’s help line about this decision. 5. Know that vaccinating your baby on time is the right thing to do. It’s never easy to see your baby feel pain, no matter how brief. In that moment, know that you are absolutely making the right choice. As each dose of vaccine builds your baby’s immunity, you’re decreasing the chances of your baby getting sick. I sure was glad that BabyM had already had his first dose of DTap in March, when there were 4 cases of pertussis reported at an elementary school in our neighborhood. As a bonus, by vaccinating your child, you’re contributing to your local herd immunity, protecting the more vulnerable, such as younger babies and those whose medical conditions makes them unable to receive or respond appropriately to vaccines. August is National Immunization Awareness Month. Let’s celebrate the fact that we get to be parents in the era of vaccines, and our children are protected from the pain and suffering, and even death, from so many serious diseases. There are a lot of parenting questions where we can debate what is right and where the science is still evolving, but this is one where the science is very clear. Vaccinating your baby on time is safe and effective, and with these tips, and it only has to hurt a tiny bit. Shah, P. S., Herbozo, C., Aliwalas, L. L. & Shah, V. S. Breastfeeding or breast milk for procedural pain in neonates. Cochrane Database Syst. Rev. 12, CD004950 (2012). Moon, S.-S. et al. Inhibitory effect of breast milk on infectivity of live oral rotavirus vaccines. Pediatr. Infect. Dis. J. 29, 919–923 (2010). Ali, A. et al. Impact of Withholding Breastfeeding at the Time of Vaccination on the Immunogenicity of Oral Rotavirus Vaccine—A Randomized Trial. PLoS ONE 10, e0127622 (2015). Rongsen-Chandola, T. et al. Effect of withholding breastfeeding on the immune response to a live oral rotavirus vaccine in North Indian infants. Vaccine 32 Suppl 1, A134–139 (2014). Groome, M. J. et al. Effect of breastfeeding on immunogenicity of oral live-attenuated human rotavirus vaccine: a randomized trial in HIV-uninfected infants in Soweto, South Africa. Bull. World Health Organ. 92, 238–245 (2014). Taddio, A. et al. A randomized trial of rotavirus vaccine versus sucrose solution for vaccine injection pain. Vaccine 33, 2939–2943 (2015). Piira, T., Champion, G. D., Bustos, T., Donnelly, N. & Lui, K. Factors associated with infant pain response following an immunization injection. Early Hum. Dev. 83, 319–326 (2007). Schechter, N. L. et al. Pain Reduction During Pediatric Immunizations: Evidence-Based Review and Recommendations. Pediatrics 119, e1184–e1198 (2007). Cohen, L. L. et al. Randomized clinical trial of distraction for infant immunization pain. Pain 125, 165–171 (2006). Franck, L., Gay, C. L., Lynch, M. & Lee, K. A. 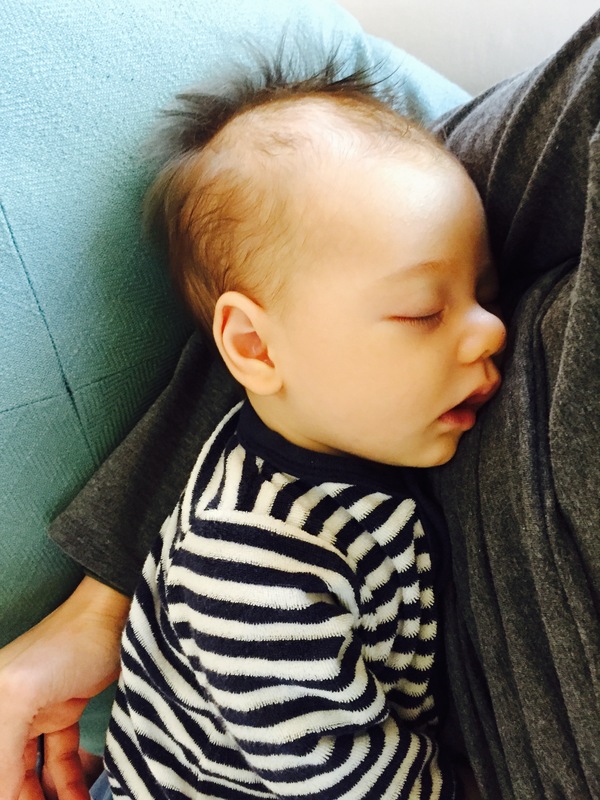 Infant Sleep After Immunization: Randomized Controlled Trial of Prophylactic Acetaminophen. PEDIATRICS 128, 1100–1108 (2011). Lange, T., Perras, B., Fehm, H. L. & Born, J. Sleep enhances the human antibody response to hepatitis A vaccination. Psychosom. Med. 65, 831–835 (2003). Miller, G. E. et al. Psychological stress and antibody response to influenza vaccination: when is the critical period for stress, and how does it get inside the body? Psychosom. Med. 66, 215–223 (2004). Prymula, R. et al. Effect of prophylactic paracetamol administration at time of vaccination on febrile reactions and antibody responses in children: two open-label, randomised controlled trials. Lancet Lond. Engl. 374, 1339–1350 (2009). Brady, M. T. & Swanson, J. T. More study needed on antipyretics’ effect on vaccine responses. AAP News 31, 1–1 (2010). Das, R. R., Panigrahi, I. & Naik, S. S. The Effect of Prophylactic Antipyretic Administration on Post-Vaccination Adverse Reactions and Antibody Response in Children: A Systematic Review. PLoS ONE 9, (2014). Prymula, R. et al. Impact of the 10-valent pneumococcal non-typeable Haemophilus influenzae Protein D conjugate vaccine (PHiD-CV) on bacterial nasopharyngeal carriage. Vaccine 29, 1959–1967 (2011). Prymula, R., Habib, A., François, N., Borys, D. & Schuerman, L. Immunological memory and nasopharyngeal carriage in 4-year-old children previously primed and boosted with 10-valent pneumococcal non-typeable Haemophilus influenzae protein D conjugate vaccine (PHiD-CV) with or without concomitant prophylactic paracetamol. Vaccine 31, 2080–2088 (2013). I read with much interest your Facebook page as well as your blog. I have a good friend in Moldova who gave birt to twins 4 months ago and she has a dilema regarding the vaccination and the hemangioma. Both of her children have hemangioma on one of their botocs. She was told by several doctors in Moldova that she should postpone the vaccination do to the fact that it can influence the development of the hemangioma, in a negative way, increasing the chance of making them grow faster, etc. She is really troubled by this fact and she asked me to find out some evidence based arguments for this. Is there some relation between this two? I would really like if you could help. Thank you very much in her name! I had never heard of hemangioma being a reason not to vaccinate, so I checked with a few pediatrician friends. They said – without any hesitation – that vaccination should not be a problem at all. If the babies are treated with oral steroids (a big if – I don’t think that would be standard), they may need to avoid live vaccines, but the vaccines given in the first year are not live (except for the flu vaccine), so this shouldn’t be a concern. I think I would suggest to your friend that she find another doctor. I hope this helps! Thanks, especially for the tylenol review. My baby had her first nursing strike after the 2 mo shots and refused to nurse after 4 mo too (but only for a couple hrs) … Maybe I should try to convince the office to give the 6 mo during nursing. But I don’t want to give this fickle feeder any (more) negative associations. What do you think? Hmm, interesting question… I think I remember seeing a statement in my reading about the negative association not being a concern, but I’ll have to go back and look to see if there was a study to back that up. Regardless, that doesn’t necessarily mean it won’t happen with your baby! I will say that the assumption with breastfeeding during shots is that it helps to reduce the immediate pain of the shot but not the more lasting soreness or the systemic effects that could be associated with the nursing strike. So, it may not affect the nursing strike either way:/ Sorry I can’t be more helpful! It’s always worth a shot! Hope your next round of shots aren’t so disruptive! 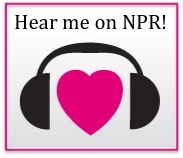 Hi,heard on pbs. My son and daughter in law are sleep training their 6 month old boy. Letting him cry it out. I got upset made a comment hurt their feelings. Now they are not talking to us. What do you think. Thanks for checking out my blog! I can see how this part of grandparenting would be hard – you want to help, but you also want to be careful not to step on any toes or offend your son and daughter-in-law. I think you really have to trust that they know what is best for their baby. Chances are, they don’t take the decision to sleep train their son lightly, and they’re ultimately the ones tasked with the tough job of caring for their baby day and night. If they’re struggling with sleep, one way to start a conversation about it is just to ask if there is anything you can do to help. Sleep is so personal, though, and unless they’re seeking advice, they may not want to your input. I think you just have to respect that. Congrats on your grandson, and I wish you and your family the best! I hope that you can re-open those lines of communication so that you can all enjoy and support each other! When we were still nursing, I always nursed during vaccinations, and my daughter always did very well with them. She’d cry for a moment and then would be fine. I think she cried most during her 12 month ones, since she’d stopped nursing by that point and just used a soother, but even then, the crying didn’t last long. At 18 months, and at her flu shot that year, she just watched calmly as the nurse did her immunizations, and flinched a little when the needle went in. No tears. She seemed more curious about the process than anything else. I’m hoping this bodes well for her flu shot this fall. I think you sent this blog to me, but in case you didn’t – check out the little guy’s hair. You thought Declan had a high hairline. Also in case you don’t have this, seemingly good advice for during and after shots. Very informative. My twins’ doctor had recommended that we give them acetaminophen prior to the vaccinations. I wish I’d known about these studies. My poor babies have gone through the trauma of vaccinations only for it to have decreased efficacy. Now I know! Yeah, it’s tricky. We really don’t know for sure that acetaminophen means your kids have less protection from the diseases, just that antibody response is a bit lower. So probably not a big deal either way, but good to know! Hi. Thank you for all the amazing information you share! I’m curious to find out more about the specific recommendations for parental behavior during the immunization appointments. How do the studies recommend explain what’s happening? We’re specific types of distractions better or does it just depend on what each child likes? Our nurse insists the baby lay on the table, too, so we can’t breastfeed during the shot. Do you think a taste of maple syrup would work as well as the sugar solution? Also, I clicked the explaining link from your page, and then clicked another from that page, to a 2008 study by Bustos, et. al. in which they taught parents specific coping-promoting behaviors, but I can’t see what exactly those were. Can you access that or do you know? Great questions, Katie. I’m traveling at the moment but will try to address them when I’m back home. Infants whose parents made more coping-promoting statements just before the shots were given cried for less time and showed less intense facial pain responses. come, behavioral commands to child, checking child’s status). About maple syrup – although it hasn’t been tested in studies, I would think it would work fine. It is mostly sucrose, so I would expect it to work similarly to table sugar. Hope this helps! Thanks for the great questions! It’s uplifting to see a mommy blog that isn’t against vaccines. I know there must be plenty of other blogs like this, but I just wanted you to know that I am happy to read these things. Thank you for protecting your child and basically, everyone else. I loved reading your blog post! Reading about someone that does vaccinate, and what they experience is always helpful for us! I like what you said about having a day to do nothing after. You never know how they are going to relax, so you might as well prepare for the worst. I am going to remember not to plan anything the day I take my daughter.